Zero-Day Attacks and What To Do About It? Part 3 of 5: Zero-Day Attacks and What To Do About It? All applications have vulnerabilities and attackers are incented to find them. Once the vulnerability has been discovered, the longer it remains unpatched, the greater the risk of a breach, potential loss of information, and damage to reputation. Then see Memory Exploit Mitigation in action with a demo Symantec Endpoint Protection. 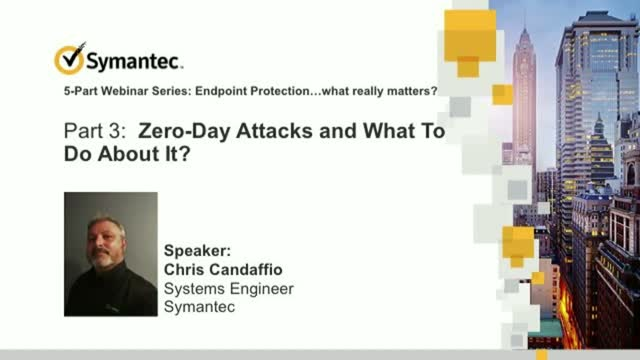 Title: Zero-Day Attacks and What To Do About It?